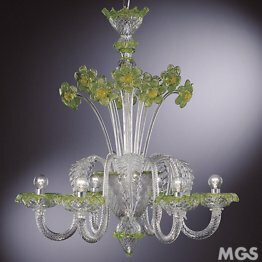 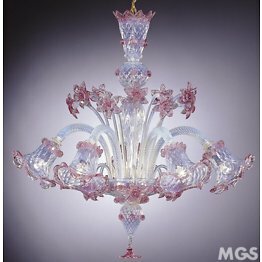 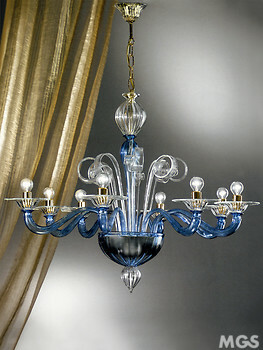 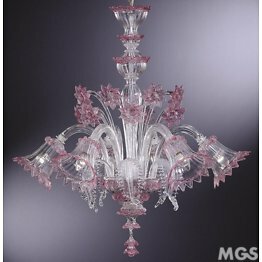 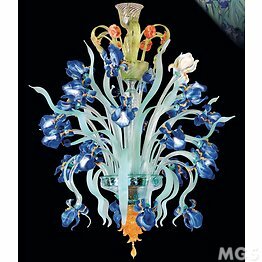 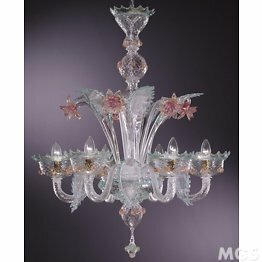 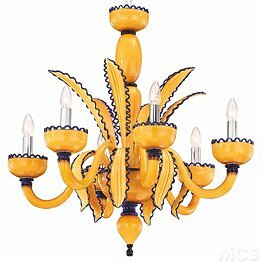 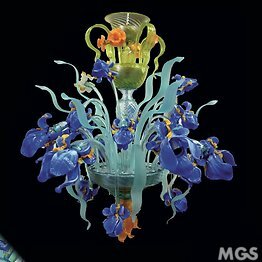 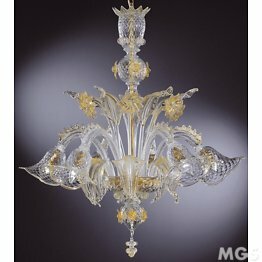 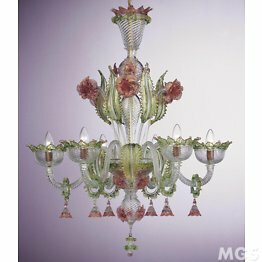 High quality venetian and classic Murano Chandeliers, totally free to customize and built with the same passion of the old glass-making artists. 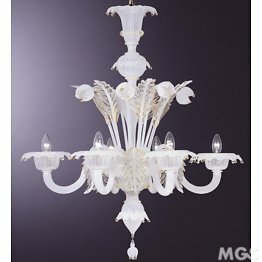 Perfectly suitable to smart old stile furniture, as well as perfect contrast in a modern contemporary environment. 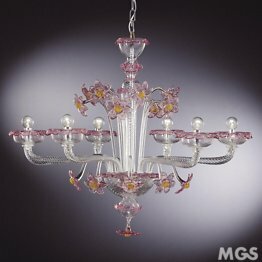 Ladies and gentlemen, here is the story of Murano glass! 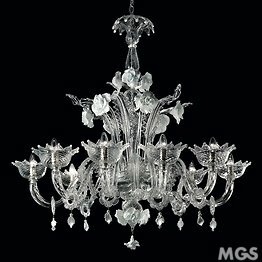 Magnificent and original chandeliers, refined finishes and top quality because there are so many ways to make a chandelier, ours are simply the best. 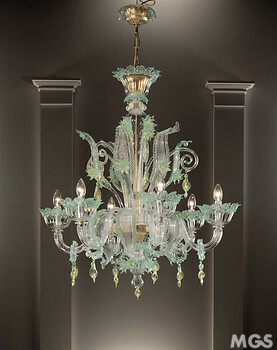 After installing a chandelier the thing that our customers tell us more often is that they receive many compliments from their friends and that once you have installed our chandeliers everything is more beautiful and the house acquires a new soul. 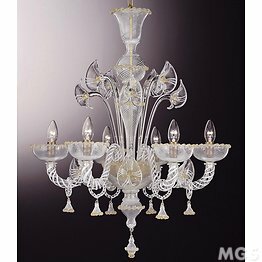 A classic environment it can be illuminated by a new light that enriches the environment and gives the elegance that is lacking to enhance your classic decor. 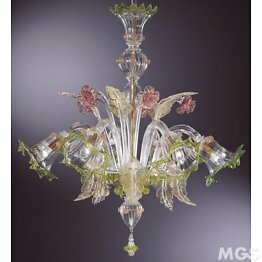 Obviously a Murano chandelier can also be an excellent complement to a modern environment creating an alternation of styles. 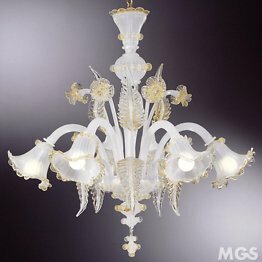 Are classic chandeliers only for classic room? 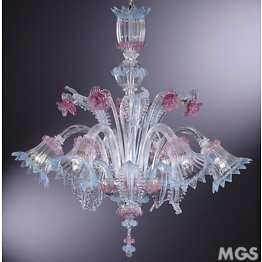 Absolutely not, try ours Virtual interior designer, insert a classic chandelier in the hyper-modern kitchen and you will discover that wow, classic and modern, marry incredibly well, also thanks to the use of our super-transparent and impurity-free crystal. 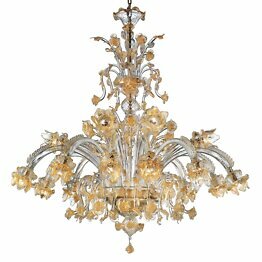 Our classic chandeliers are made in Murano, and are accompanied by the only valid certificate issued by the Veneto region, beware of non-original products! 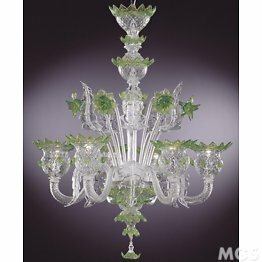 In addition we have adopted all the procedures to reduce the environmental impact and everything has been certified by the authorities, we want to do beautiful things without ruining the environment that is the most beautiful and important thing. 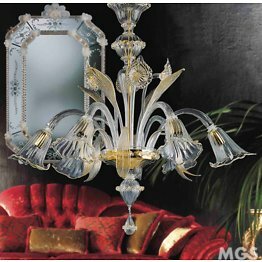 Obviously the beauty of an artistic product lies in personalization! 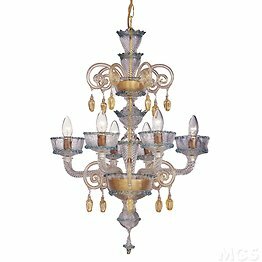 In this regard, do not hesitate to contact us and possibly send us photos of the environment in which you would like to install a chandelier. 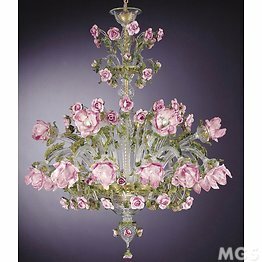 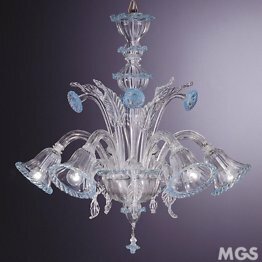 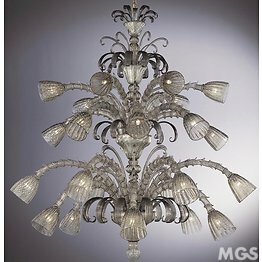 We will provide a feasibility study and provide all the advice to create a custom chandelier! 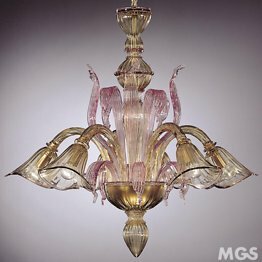 For all our chandeliers are available original spare parts, think before buying a chandelier from a retailer that does not offer this possibility in the long run! 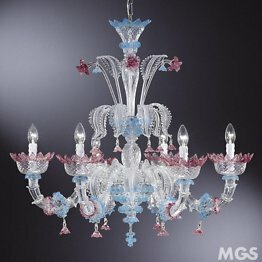 The crystal is transparent and pure as light, but our colors are also! 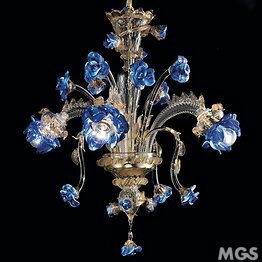 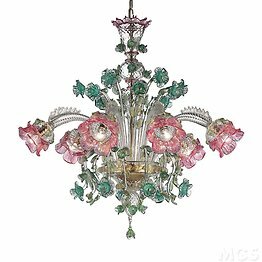 In fact, the MGS will never produce a chandelier painted with chemical resins, our colors are all made using natural minerals that melted in the hot glass give a thousand shades depending on the thickness of the glass. 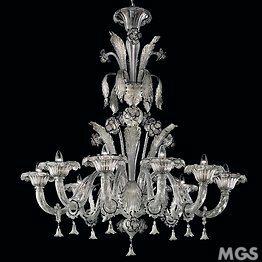 We have been producing and selling chandeliers on the web since 1999, we have grown together with you and we will continue our passion to create ever more beautiful chandeliers!